Below you can find an example of an SJT ranking item. In this ranking item format, applicants must choose the three most appropriate responses to a given situation. Remember that the responses you select are discrete, and that in this particular item format they should not be considered to be in chronological order – but in the order of appropriateness. Note that there is a different item format that requires ranking the order in which the tasks should be undertaken. You are working on a busy ward, completing some administrative tasks for your consultant, Dr Findlay. She has asked you to complete some discharge letters which should have been sent out a week ago. A new patient is admitted to the ward and the senior nurse asks you to assess him, as your colleagues are all busy completing other tasks. When you explain that you are currently completing the discharge letters for Dr Findlay, the nurse suggests that you ask the fourth year medical student on the ward to assess the patient instead. important although it is secondary to their competence (A). 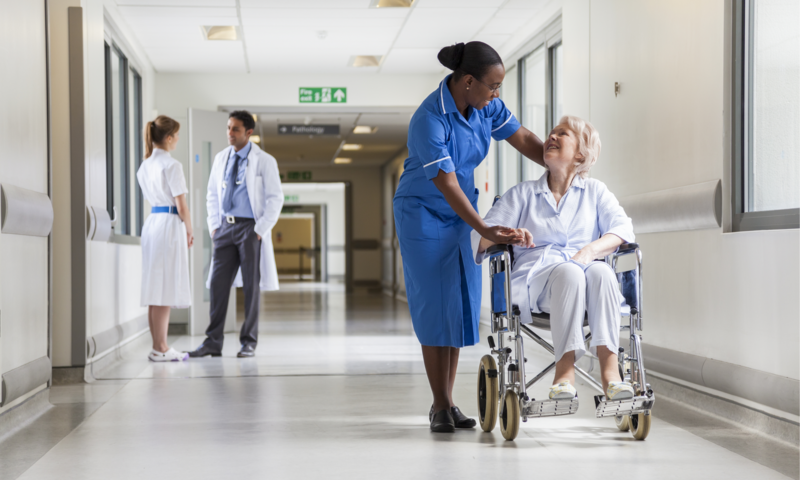 As all your colleagues are busy, there is a risk that the senior nurse may not find another available colleague to assess the patient soon enough (E) thereby risking clinical delay. The discharge letters do not constitute an urgent clinical priority (C). The urgency of the assessment required will only be determined by an initial assessment (D) which should happen with a minimum of delay. Below is an example of an SJT multiple choice item. Applicants should select the three most appropriate responses to tackle the dilemma in the scenario. Remember that these responses should not be viewed in isolation, but in combination. You are on your way to take a break when you overhear an FY2 colleague breaking bad news insensitively to the relatives of one of your patients who has just been diagnosed with lung cancer. Anita leaves quickly. The relatives are looking extremely distressed. Rationale: You are not responsible for the oversight of your FY2 colleague’s performance but you have the duty to relieve any distress caused to the family. It is likely that the family will need support. Informing the nursing staff will ensure an empathetic approach in the wider team (A). You should offer to have further discussion with the family to help answer questions and alleviate their distress (E). You can apologise on behalf of the organisation for any unnecessary distress but not on behalf of your colleague without prior discussion (B). Informing Anita that the relatives are unhappy allows her to address the issue herself, apologise if necessary, and learn from the episode (G). It would not be appropriate to contact the clinical supervisor unless there is a pattern of behaviour (F). It would be the clinical supervisor’s responsibility to monitor Anita’s performance (H) and the Foundation Programme Director would only be involved if local resolution at the team level was not possible (C). The hospital chaplain should only be contacted after discussion with the patient or the patient’s relatives (D). For the SJT practice paper, please visit the UKFPO website.